While Chicago takes its volunteerism very seriously, we also know how to make it a source of great fun and joy for all those involved. This enjoyment, desire for change, and capacity for care are the reasons thousands of agencies in the city are able to go out into the community and make a difference. And for many Chicago agencies, Francee Harrington defines this sense of nurturing, volunteer leadership, and commitment to mentoring. 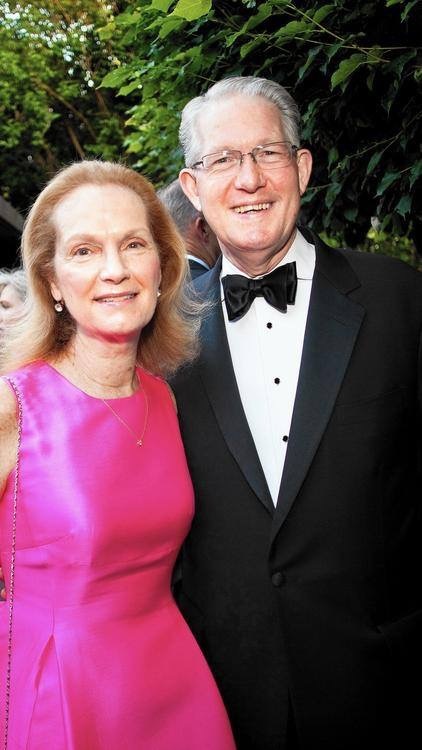 During her term as President of the Junior League of Chicago, she honed many of the skills that she has modeled for a variety of crucial non-profits. 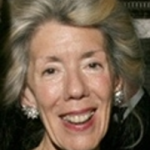 Following mightily on the path forged by Francee and so many others is Ruth Gallagher Nelson, who is currently serving as Junior League President. We complete our series on volunteerism with conversations on commitment to service with both of these wonderful women. A pillar of the volunteer community, Francee Harrington. For Francee, gratitude and volunteering go together naturally. Her family’s cornerstone stories involve the work of her mother, who was a USO volunteer during World War II. Her father, a pilot from Boston, was shot down during the war behind enemy lines. The Red Cross was able to find the German prison where he was held captive and, through a system of ham radio information, their volunteers sent postcards with information to Francee’s mother. These Red Cross postcards brought hope to so many families during the War. 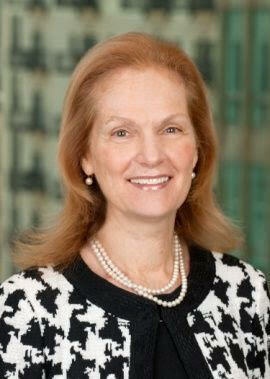 In her career at the First National Bank, and in its merger with JP Morgan, Francee was the face of civic engagement. Despite long professional hours, Francee has found time to initiate new projects and develop them into full-blown community efforts. The Next Step College Readiness program of the Chicago Child Care Society is a perfect example. Begun as a Junior League project, this great idea needed a permanent home. With the help of Child Care board member Judy Block, who brought the organizations together, the mentoring program now offers structured and interactive curriculum support to pregnant and parenting teams. The mentor-mentee interaction helps prepare teen moms and dads for college and future self-sufficiency. What are current trends you’re seeing in volunteerism? People are more generous than ever and there are wonderful new trends. Technology is allowing for many new projects and social media is bringing global awareness to them. 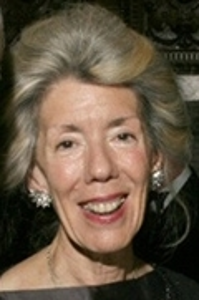 An example is Women on Call, which Margo Pritzker began. It is a site where professionals commit 10 hours to sharing their skills on a wide variety of volunteer projects. A blog on the site tells extraordinary stories. It is an excellent way to be of help. I am so fortunate to be on their Advisory Board. We are also seeing faith-based organizations taking on major challenges such as homelessness. Chicago Lights, run by Forth Presbyterian Church, is doing a fine job working with families at the poverty level. How do you bring together your love of the arts and your commitment to education? As Chairman of the Board of Ingenuity, an arts education advocacy group, I focus on bringing forward student creativity. We are committed to the belief that all students in the Chicago Public Schools should have at least two hours of arts education—music, dance, and drama—each week. We work with the schools, city leaders, donors, volunteers, higher education administrators, and hundreds of cultural leaders, and furnish resources, teachers, and supplies. Through our data gathered, strategy, advocacy, and partnerships we are doing what we can to make schools more joyful. 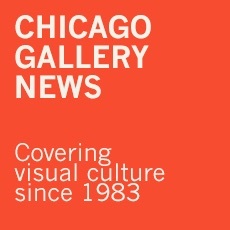 I serve on the Chicago High School for the Arts board, which is a four-year college preparatory public school dedicated to the visual and performing arts. I am very fortunate to work with its extraordinary President Kay Mable. Francee with her husband Vern Broders. What are the most important skills that a volunteer needs? It begins with listening skills. Empathy, resiliency, humility, and the appreciation of the richness of diversity and the dignity of all are building blocks for successful service. We can attest that Francee Harrington can check each and every one of those boxes. Ruth Gallagher Nelson is celebrated by past Junior League presidents as she takes up the gavel. Growing up in Omaha with three younger sisters, Ruth Gallagher Nelson says that they started helping their parents with their volunteer work as soon as they could lick stamps. Following graduation from the University of Iowa, she moved to Chicago to work for her sorority, Alpha Phi. She continues to serve Alpha Phi on the delegation to the National Panhellenic Conference and is a senior project mentor at North Lawndale College Prep. Ruth explains her role as President of the over 100-year-old Junior League of Chicago (and its 1400 members) as that of a catalyst. The Junior League has been a significant training and service organization for over a century. What is its role today? Where do you see the future taking it? The League is in Chicago to make a difference. We do that in three primary ways: serve the community, train volunteers, and change lives. Our role is to do actual, committed, relationship-based service across Chicagoland. We provide ‘on-the-job’ and formal training to our members. They may move on from the Junior League, but the skills they learn and practice there always stay with them. And lastly, but I think most importantly, the League changes lives. We change the lives of the clients we connect with and their families as well as the agency leaders with whom we work; and we change our members’ lives. 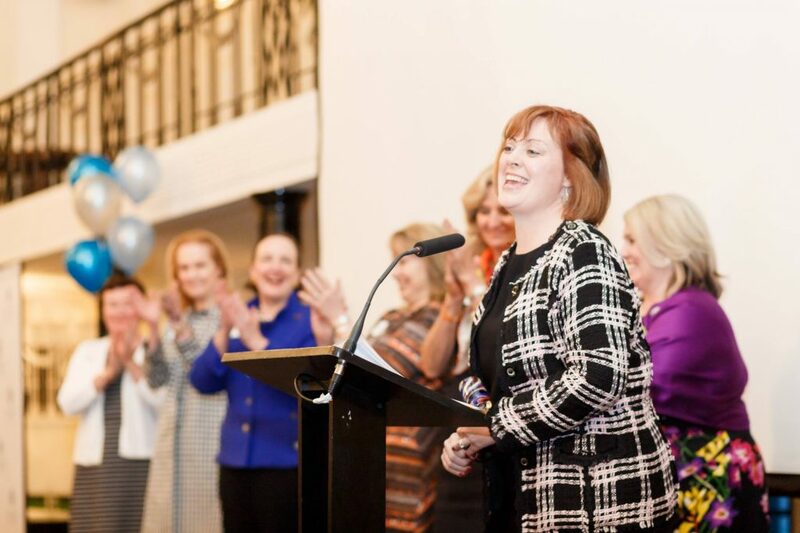 I cannot tell you the number of women who tell me, ‘If not for the Junior League…’ stories. The end results range from being inspired to start an agency or a business to getting a promotion at work to meeting their best friend. The changing lives piece is what has kept me involved for 27 years. 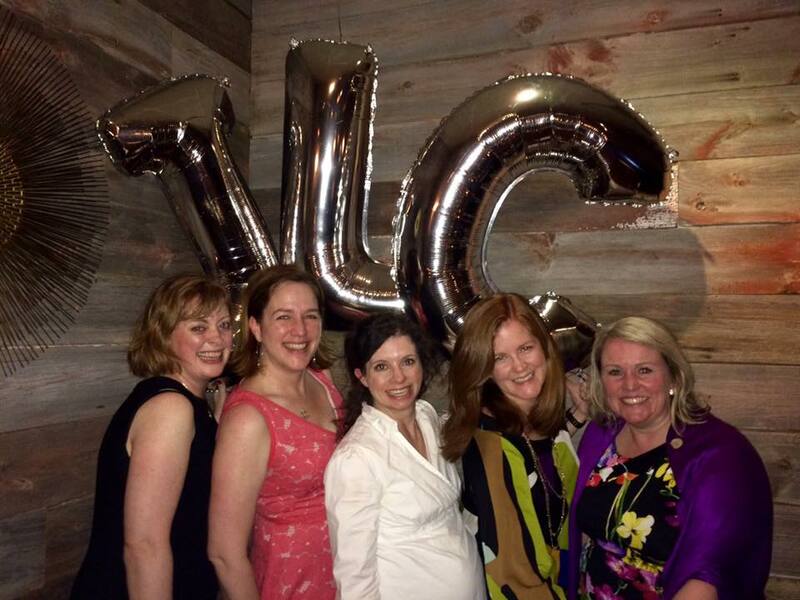 Nelson, at left, celebrates volunteerism with other Junior League leaders. Are there stories or volunteers in the League’s past that have particularly inspired you? There are so many important efforts in Chicagoland that have ties to the Junior League, it is hard to choose just one. However, one project in particular sticks with me, and its story pushes me just a little further every day. In the 1940s, the League was a catalyst to the University of Illinois College of Medicine’s first Epilepsy Clinic. This was still very early in the understanding that this was a disease, not a mental disability or, as some people said, ‘ a possession by the devil.’ Even then, this project hit all three of our tenants: serve, train (educate), and change lives. We took a stand and made a huge difference on many levels. One of my cousins has epilepsy and this important piece of JLC history has always spoken to my heart. I truly believe that the most significant impact is always made from one person to another; listening, brainstorming, and working together. Building relationships that change the trajectory of a life or a project is important in volunteer work, community building, or in any professional situation. The Junior League provides opportunities for women to build individual relationships with one another and with members of the communities we serve. Sometimes those relationships result in big group efforts; sometimes they are just two people. No matter what, both parties know they are different for the interaction. To know both Ruth and Francee, the idea that one person can make a difference begins to seem like a goal no longer lofty, but well within reach. This entry was posted in Judy's People on August 28, 2016 by Kay Whitfield.